BetOnline.ag had a rough start when it first came out in 2004. Today, the website became one of the most visited poker room sites in the US. Apart from US players, the Bitcoin poker room is open to most people across the globe. This site is all about giving the complete casino experience. You can find a sportsbook section that offers wagers on popular events as well as obscure ones. BetOnline Casino is full of titles from popular game makers. There is even a section where you can bet on real-world currency prices. You do not have to worry about not finding anything to play or make wagers with here. 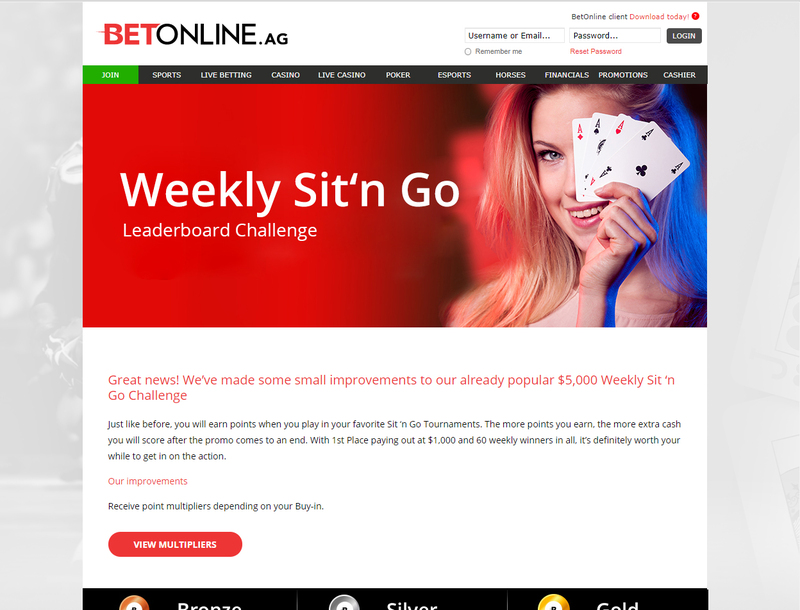 This will be one of the Bitcoin poker room reviews that focus on BetOnline.ag poker. 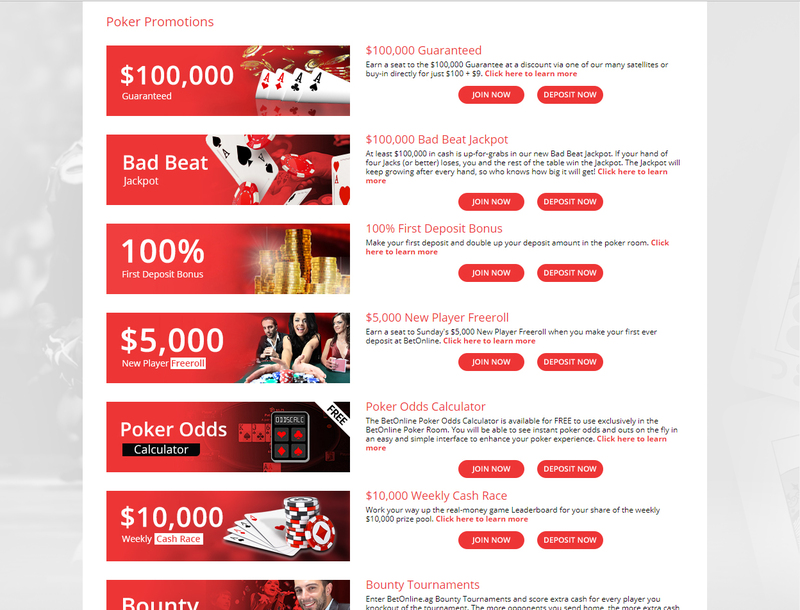 You will also find info on Bitcoin poker bonus and payment options. The two most played BetOnline.ag poker is No Limit Texas Hold’em. The Pot Limit Omaha is the second game to have plenty of players for the whole day. There are also 7 card stud, Americana, and 32 card draw games. 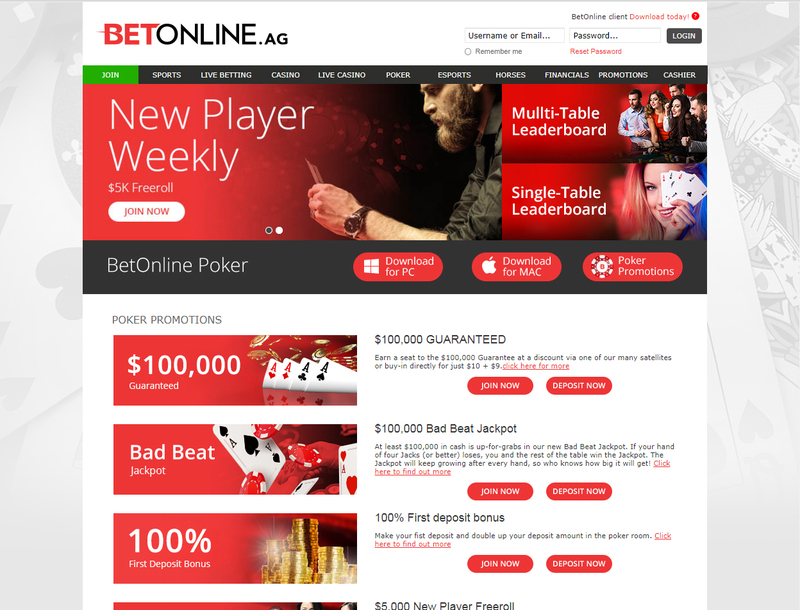 BetOnline.ag offers Bitcoin poker tournament games that have a total prize pool of $130,000. The tourney with the smallest buy-in is only $2.20. This gives you a chance to win $1,000. At the last Sunday of the month, the stakes go up with a $100,000 GTD game. You can get a head start with a 100% bonus on your first deposit with BetOnline.ag. To get the bonus, send the support team an email right after. Make sure to include the bonus code NEWBOL in the subject line to your email. Once your bonus is set, you will get it in $5 increment for each 1,500 comp points you earn. To join, the site will need to use your personal info. This includes your full name, phone number, and address. Once you have an account, download the poker client installer for Windows or iOS. 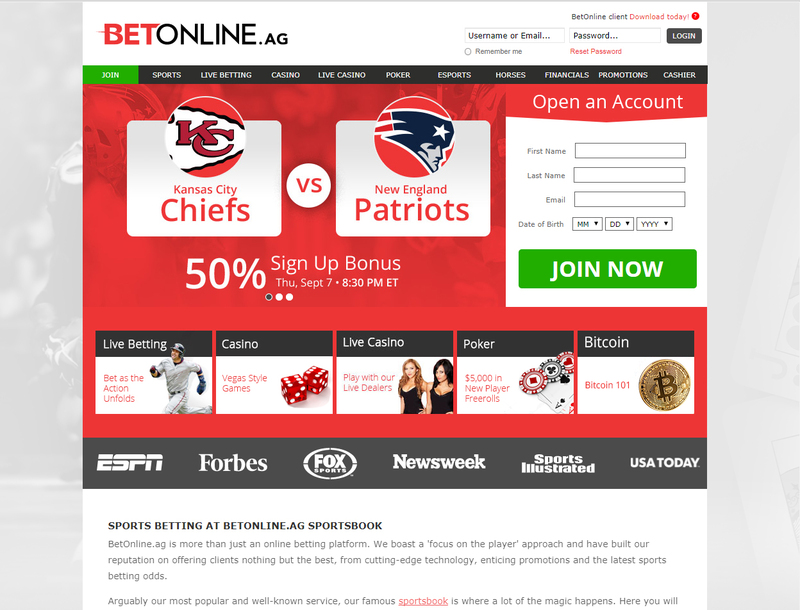 BetOnline.ag accepts Bitcoin and Litecoin deposits. The smallest deposit possible is $20 while the highest is $25,000. You can also take out your poker winnings to your Bitcoin wallet. The lowest withdrawal is $20 and the highest is $10,000. Litecoin deposits and withdrawals also have the same limits. If you run into any problems, you can give the customer service line a ring or send a staff an email. Customer service is available 24/7.